Millerine and I share a birthday, and this was it. We awoke fairly early and had completed the 35km to Visby by mid morning. We left the Gotlandsleden and took the shortest route along one of the main roads. It still felt quite safe, and there were no hills even though we passed through the middle of the island. 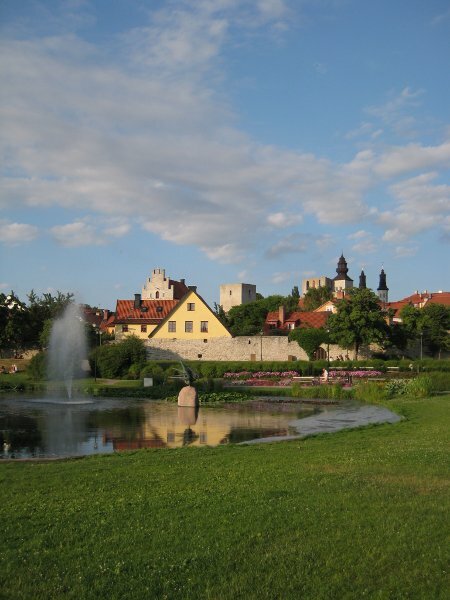 Visby is a very attractive city with a well preserved city wall around the old town and a bunch of church ruins. St Katrins is possibly the most beautiful ruin I’ve seen. The weather was hot and sunny, and perfect for walking around exploring (with frequent bar stops). We were also fans of the glassworks. Visby is definitely a tourist town, but not incredibly overcrowded and still very pleasant. 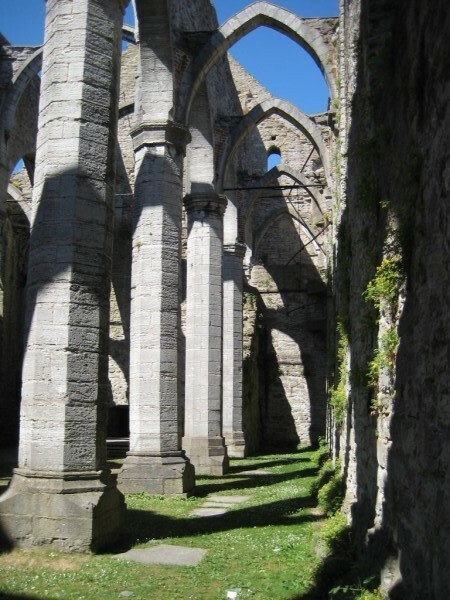 This entry was posted in Gotland and tagged Gotland, ruins, Sweden, Visby by wally. Bookmark the permalink.